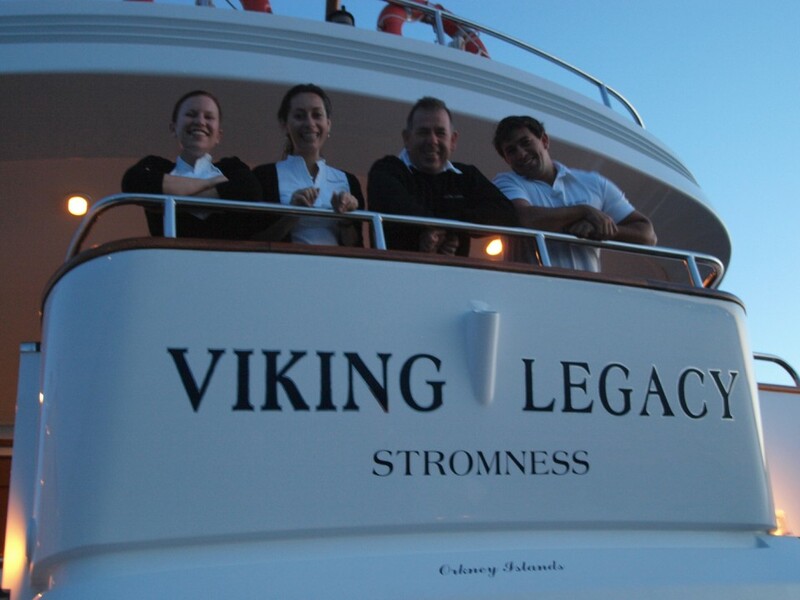 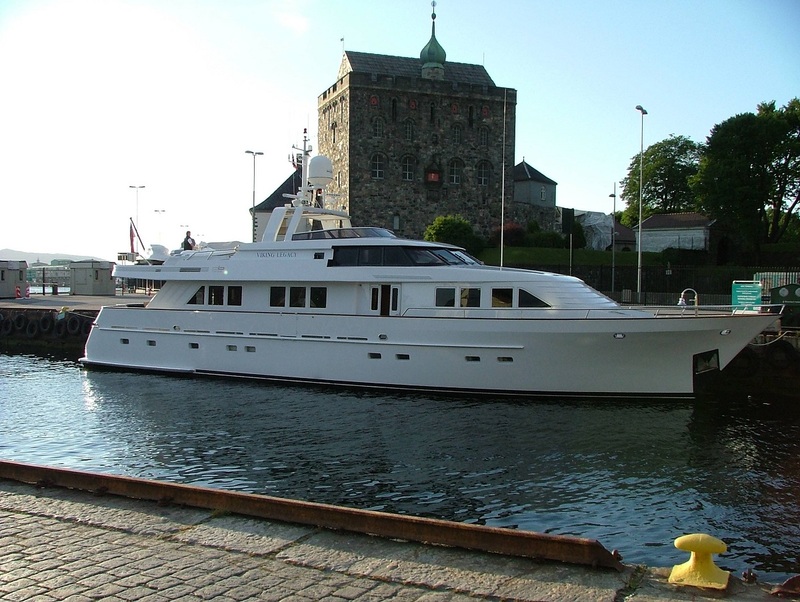 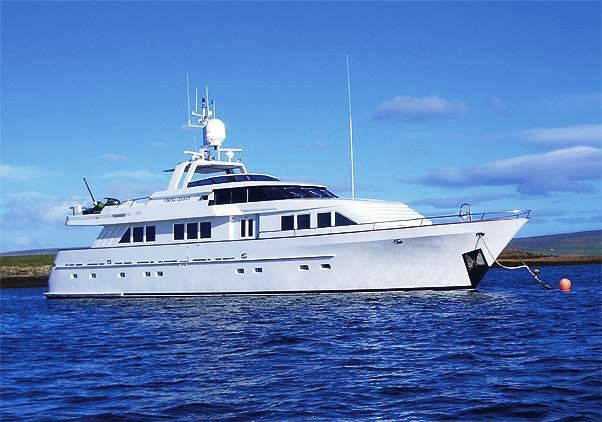 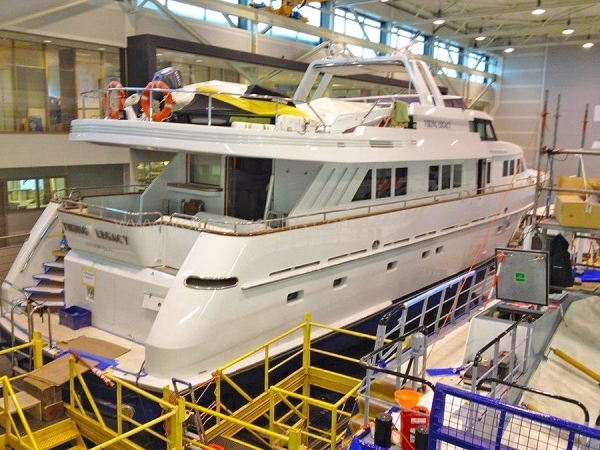 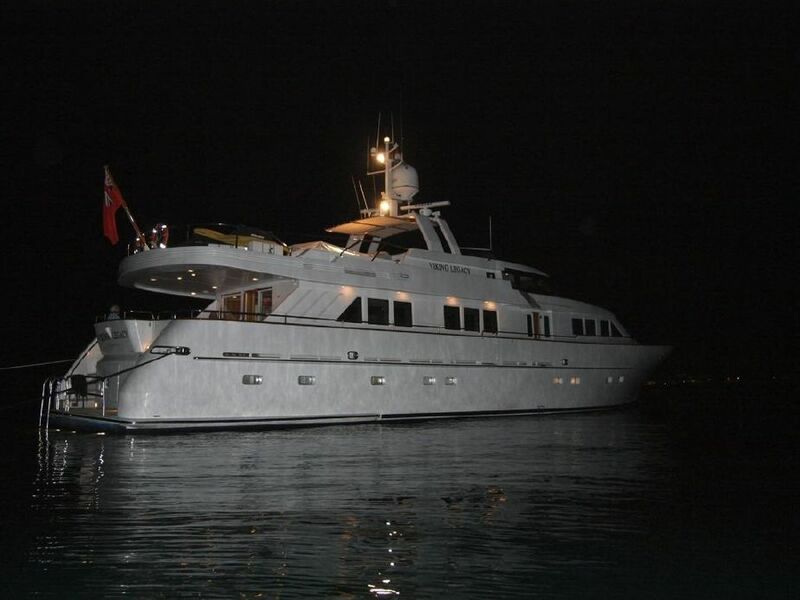 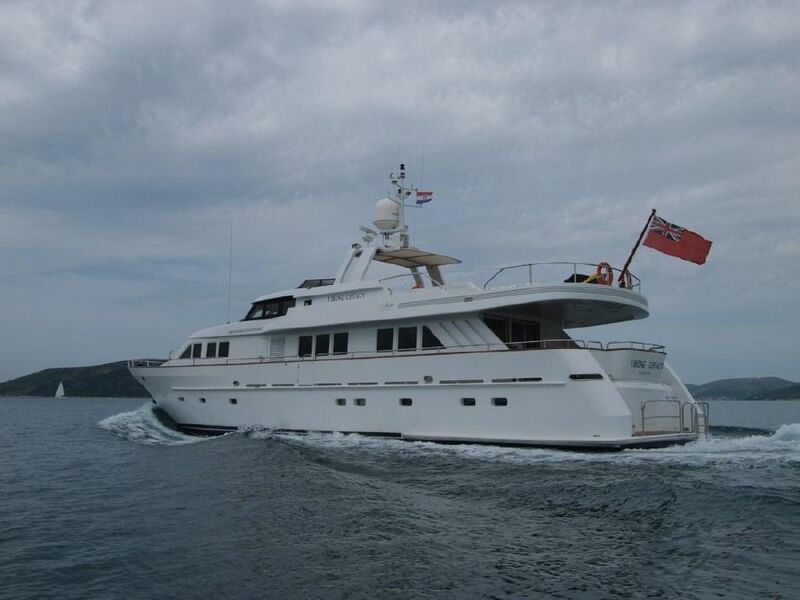 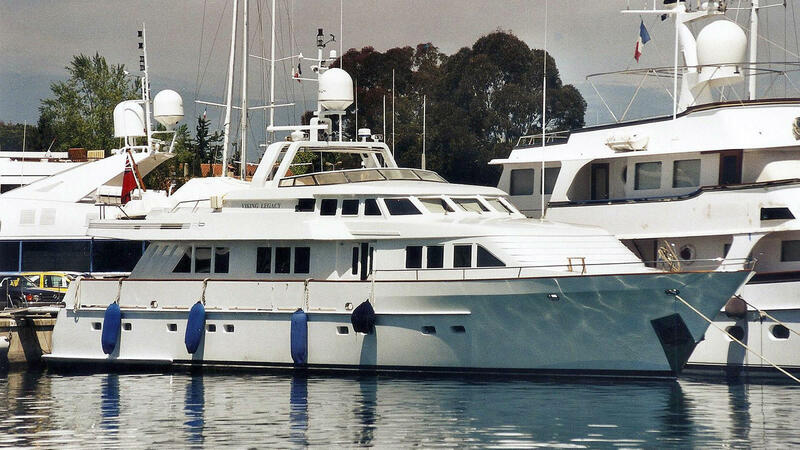 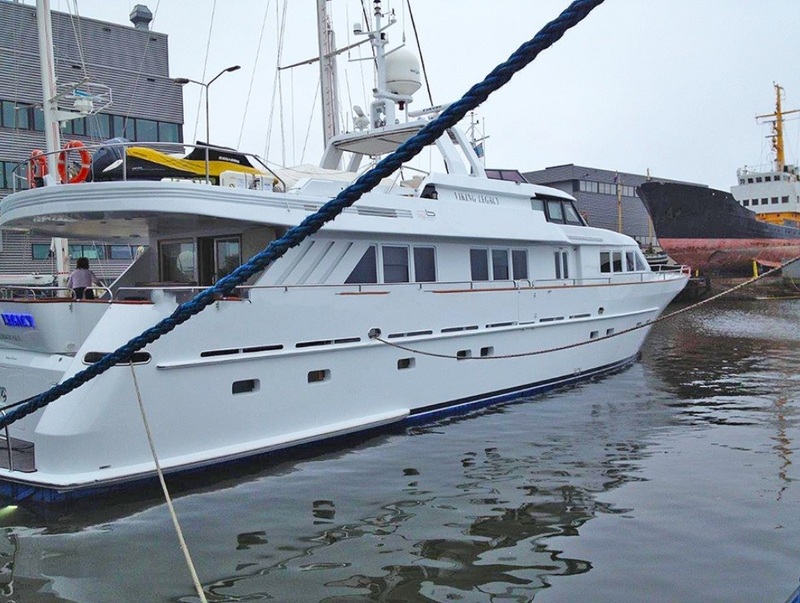 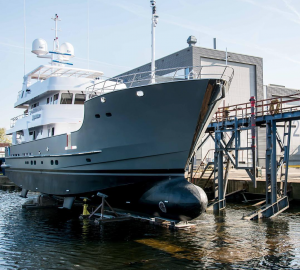 VIKING LEGACY is a Farocean Marine steel yacht of 95 feet/ 29 meters delivered in 1996. 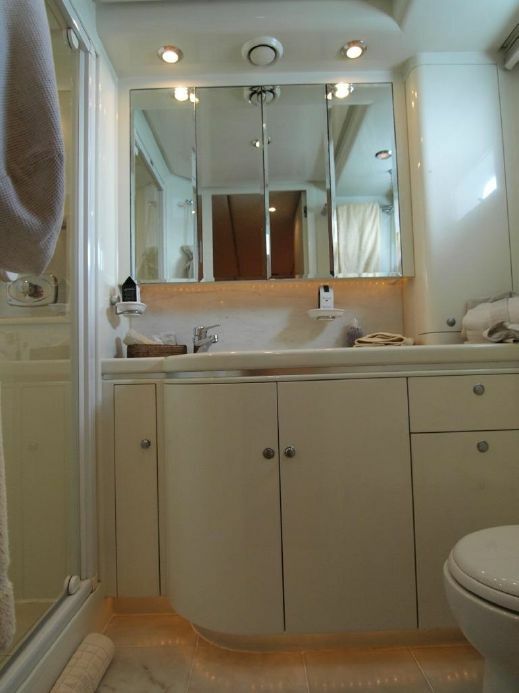 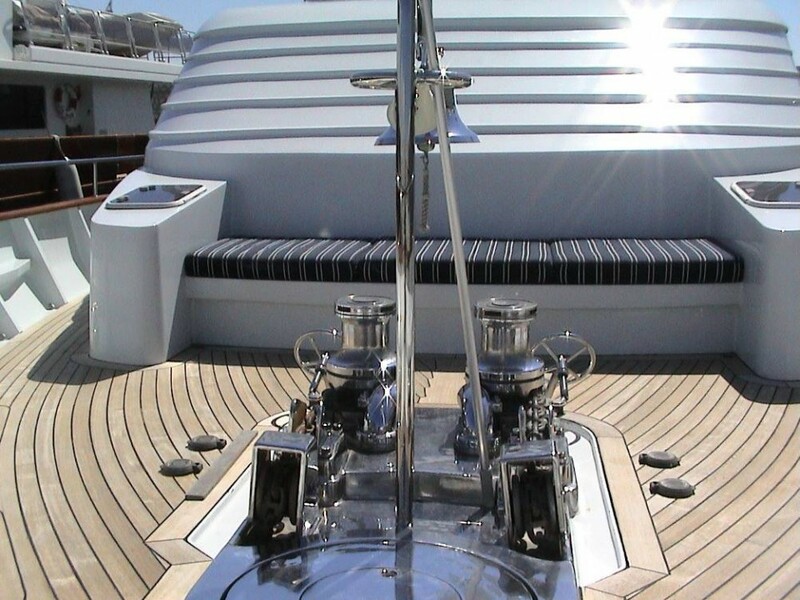 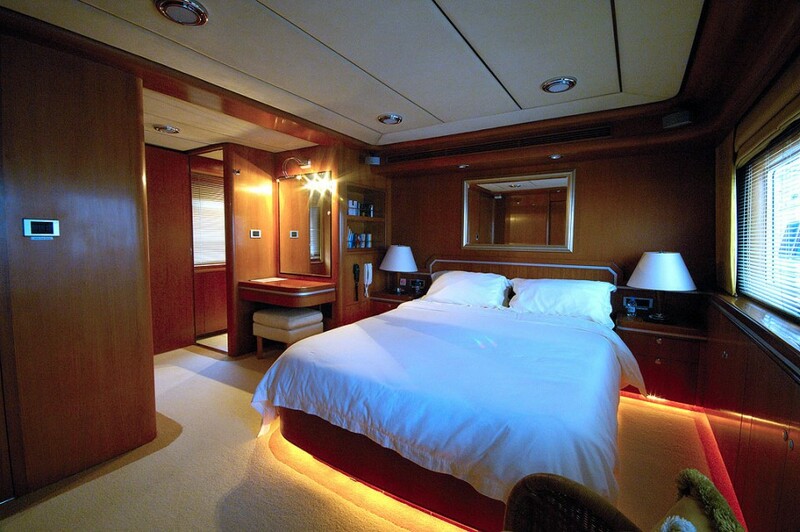 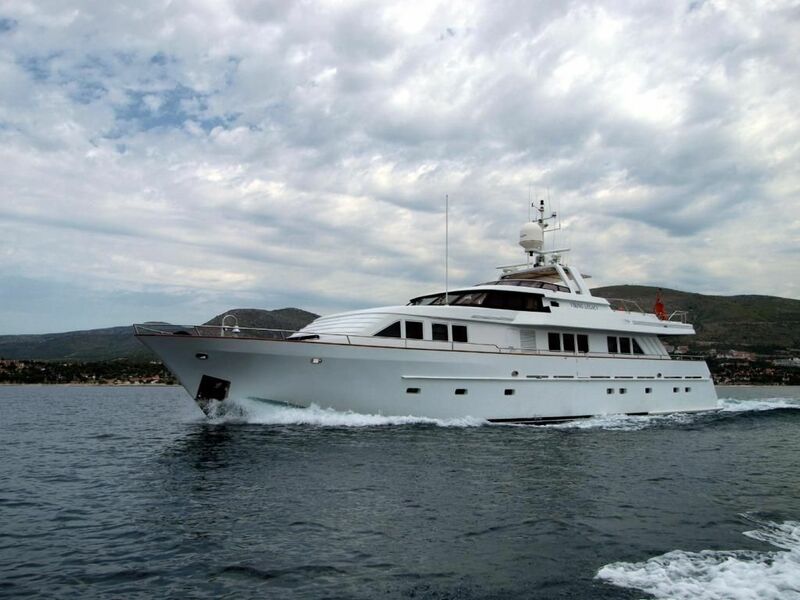 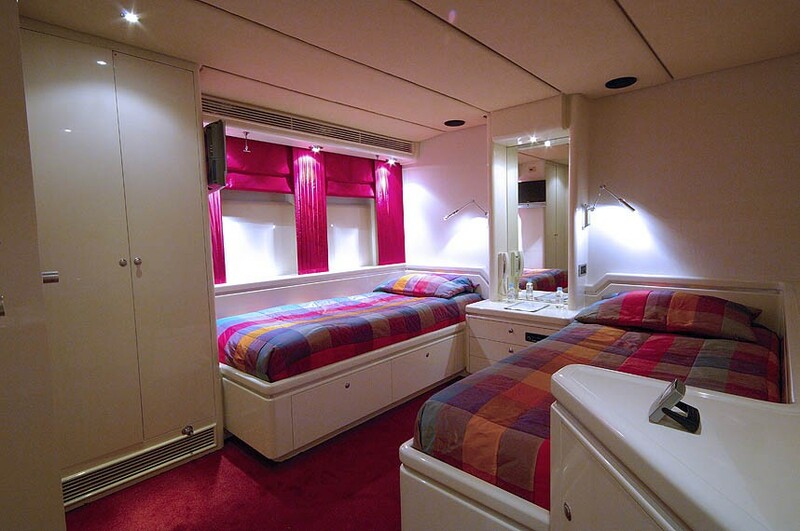 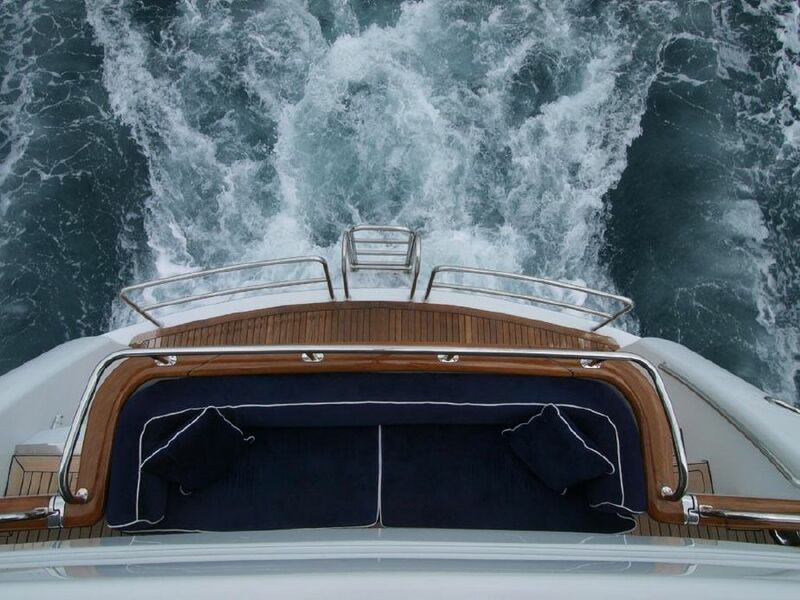 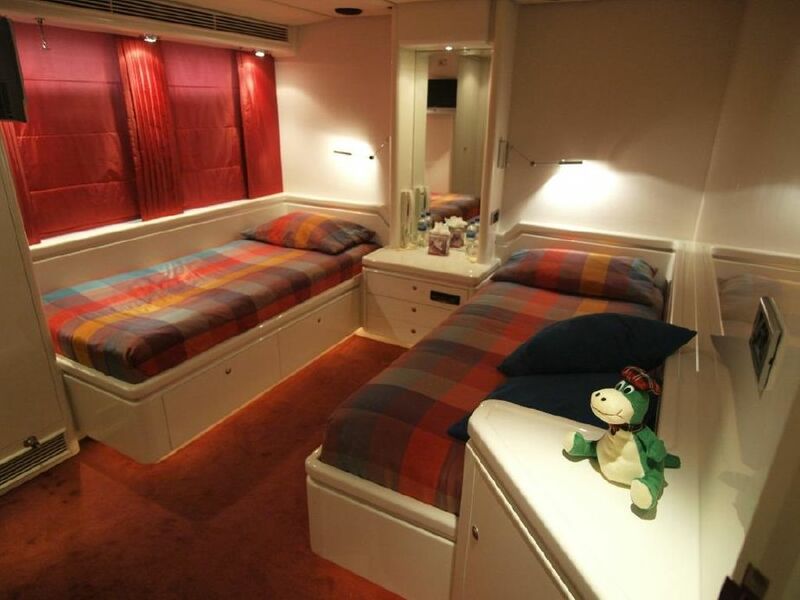 She offers accommodation for up to 8 charter guests in 4 cabins. 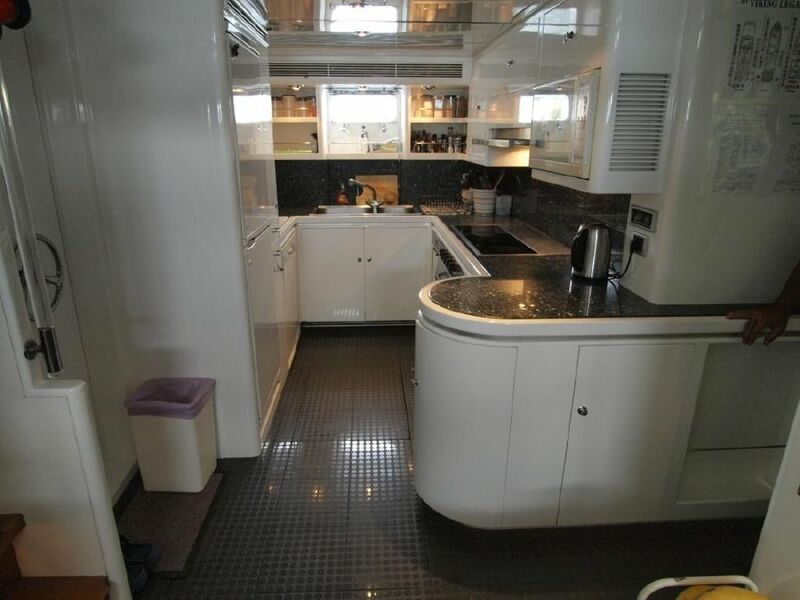 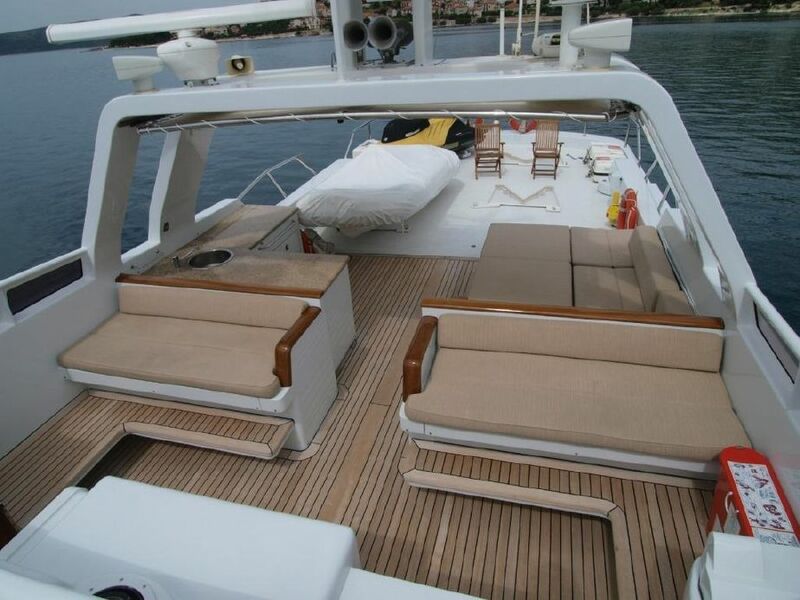 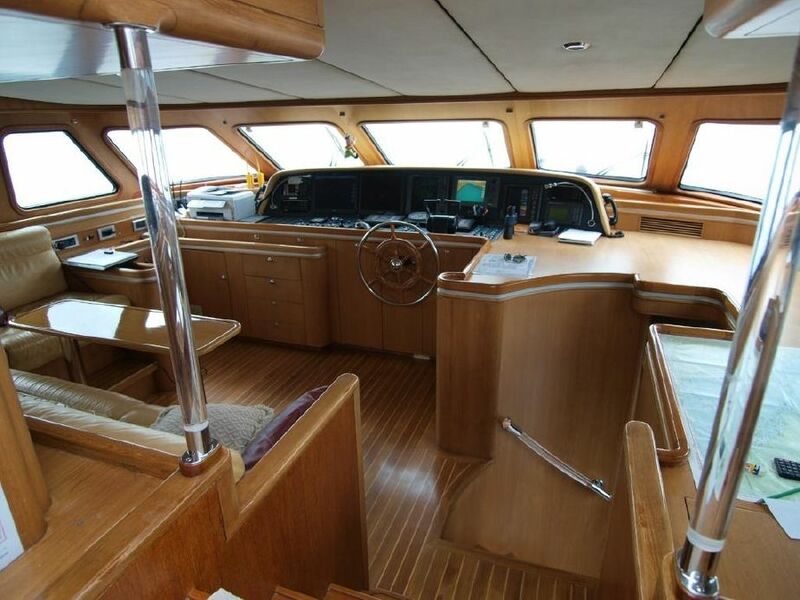 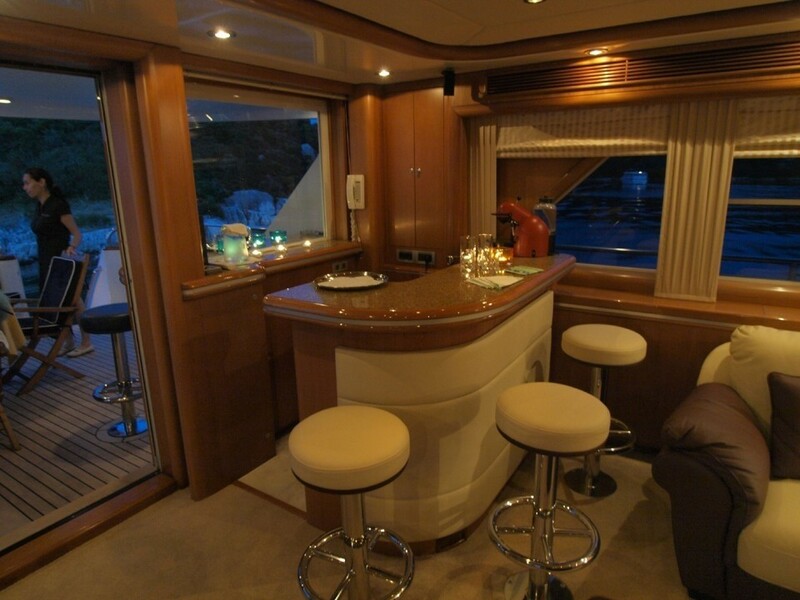 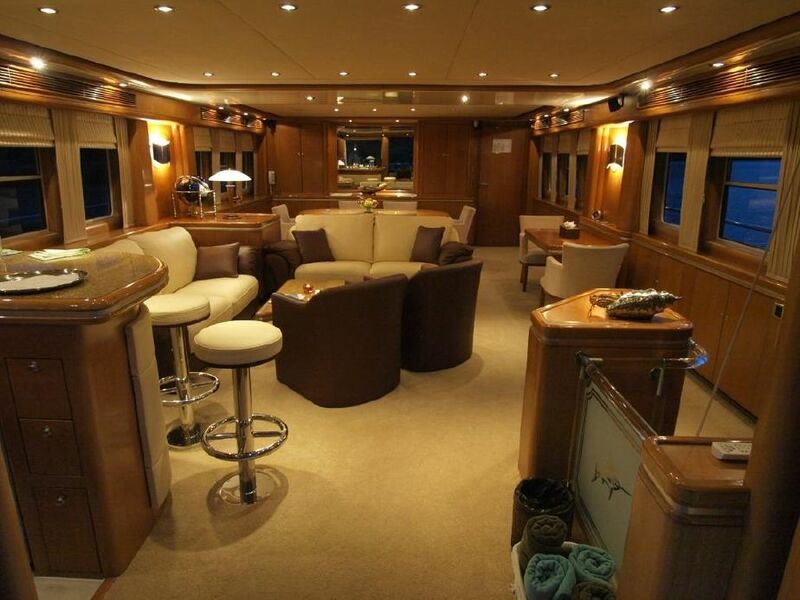 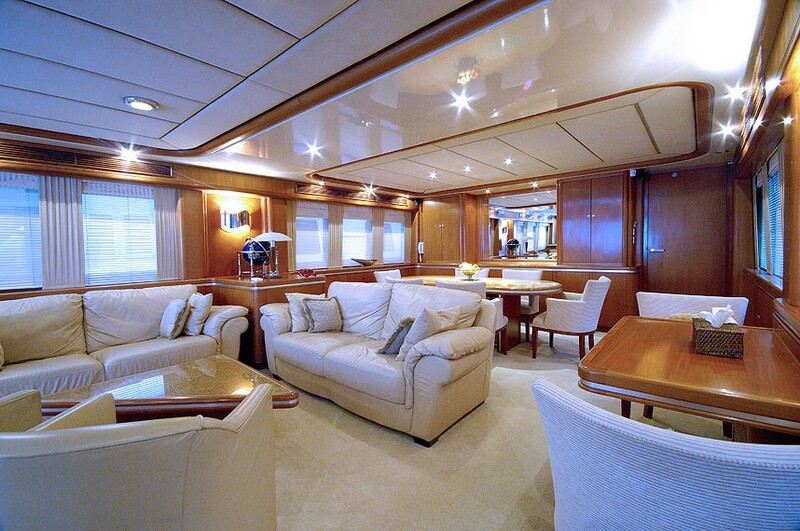 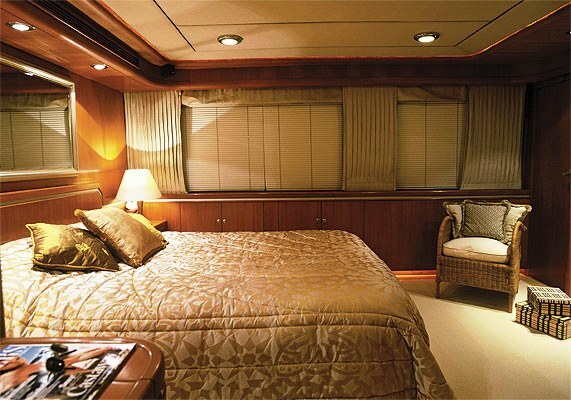 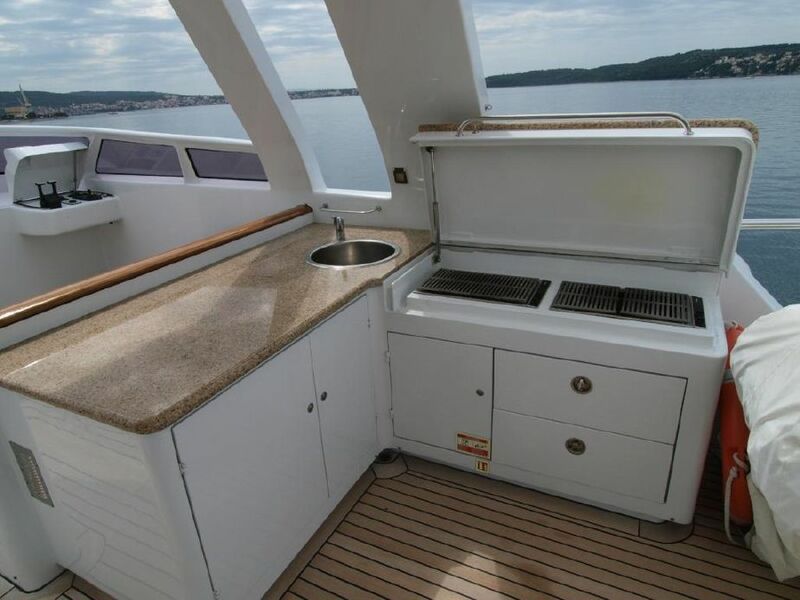 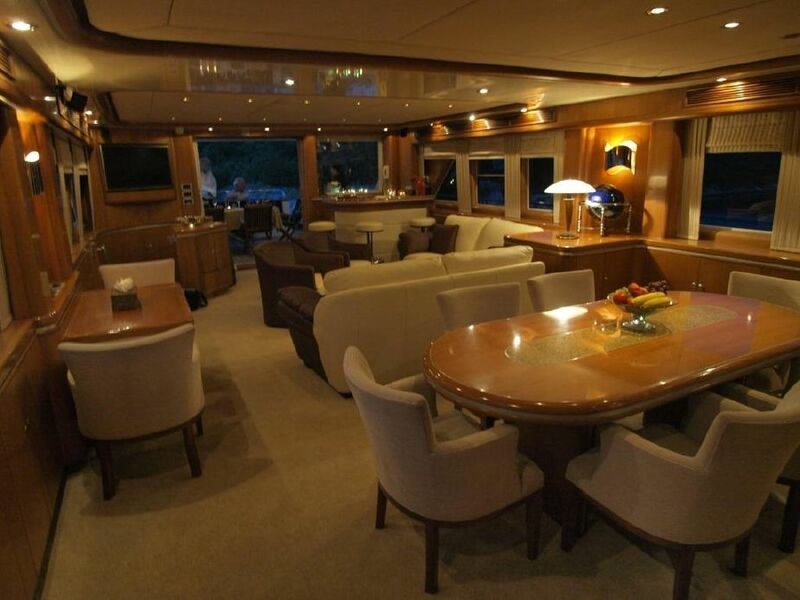 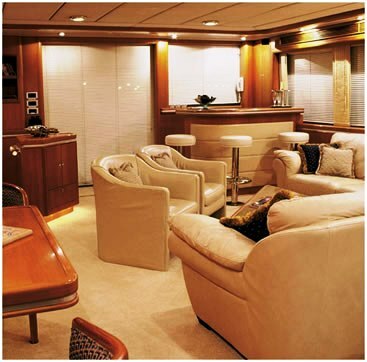 VIKING LEGACY’ has a large open plan saloon with comfortable seating and a bar. 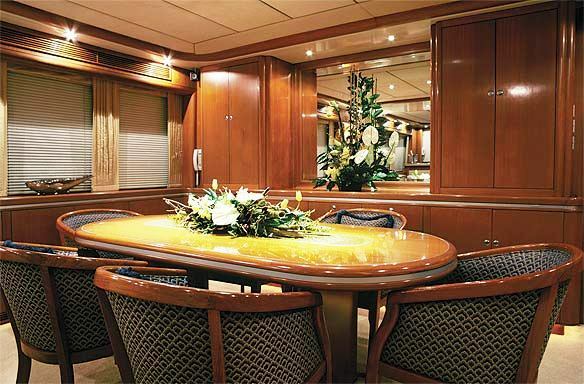 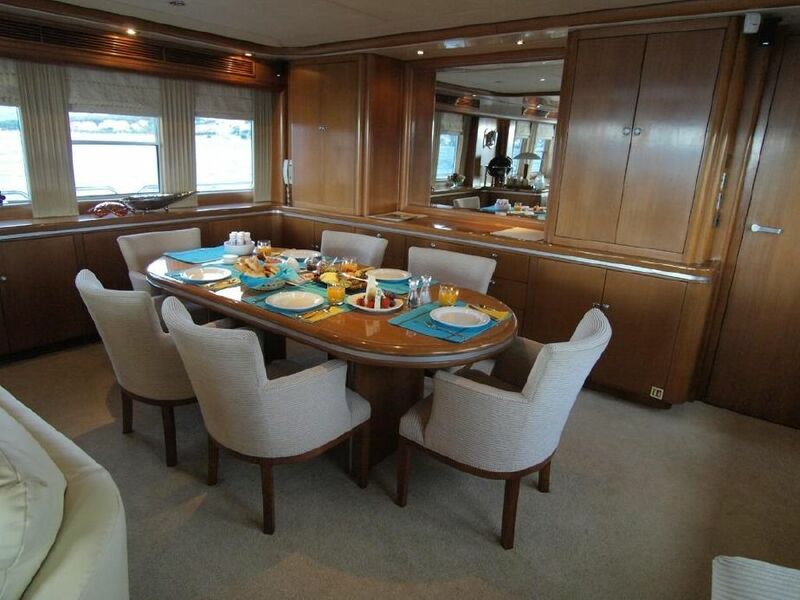 Her spacious dining area provides the perfect celebratory yacht charter to entertain friends, family or business associates. 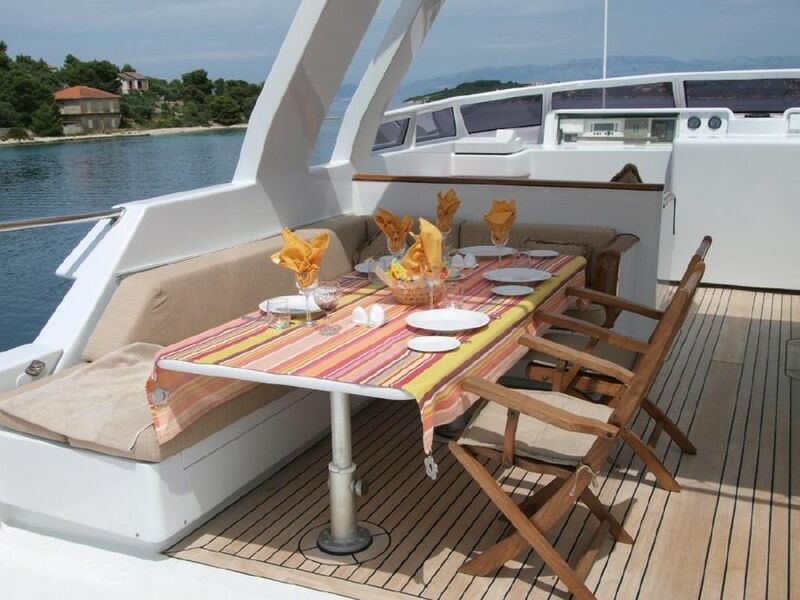 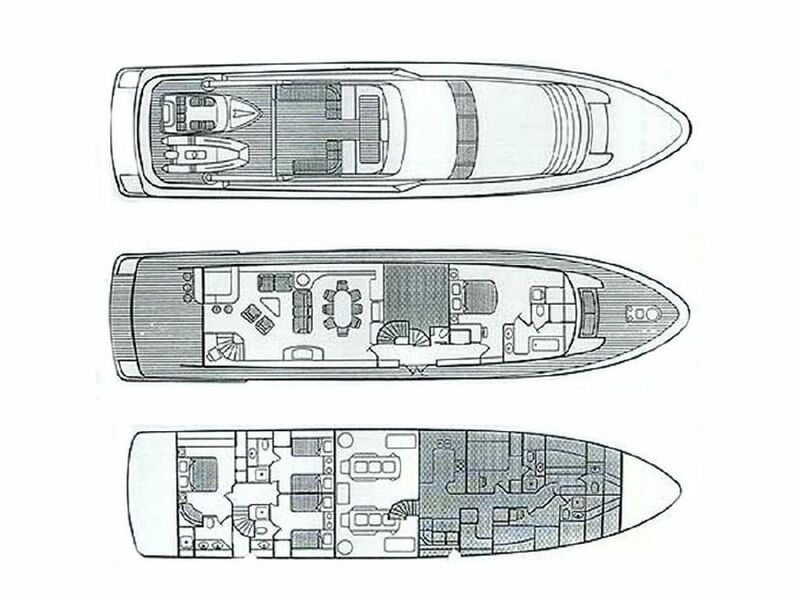 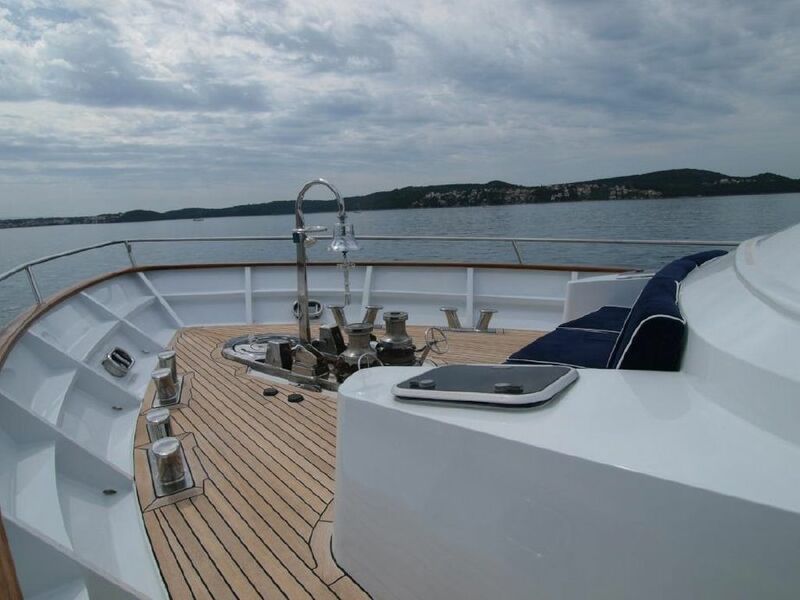 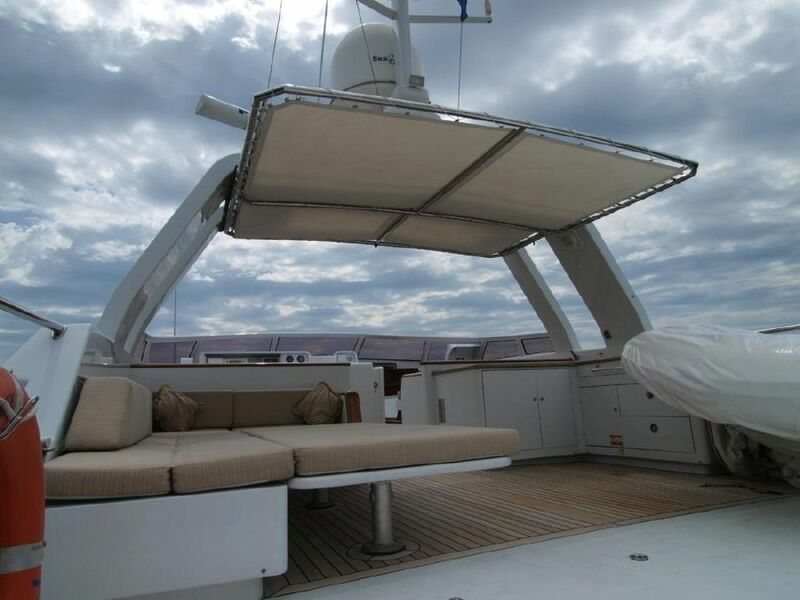 The yacht’s sheltered aft deck has built-in upholstered seating and a table for alfresco dining whilst the top deck provides further seating and tables for you and your guests to enjoy the scenery whilst dining or sipping a cocktail. 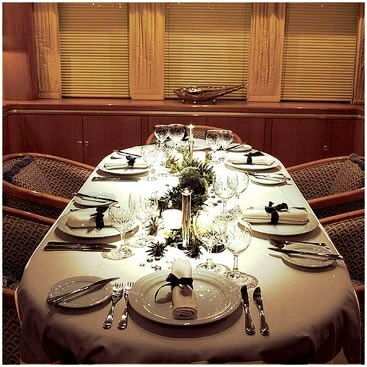 What could be more memorable than sipping a glass of champagne on a starlit evening following a fabulous meal prepared especially for you by an acclaimed chef? 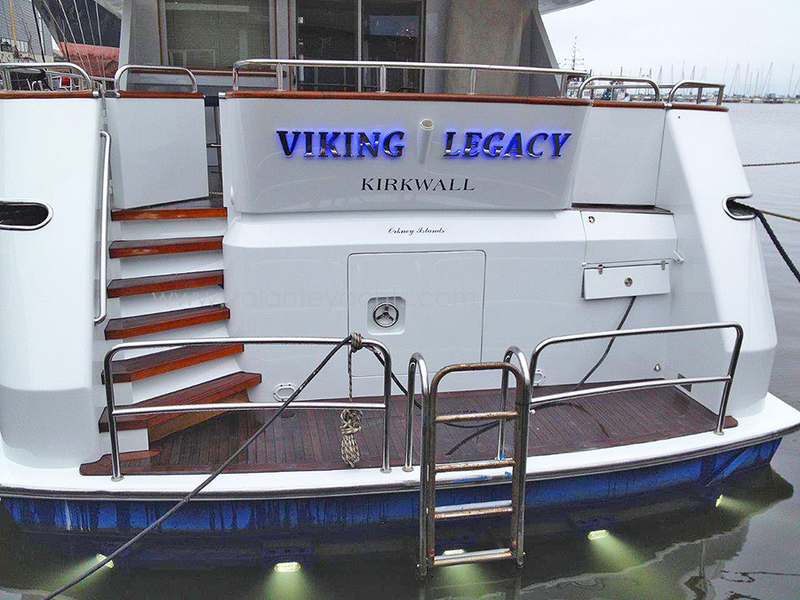 VIKING LEGACY has been immaculately maintained since her launch and has benefited from new carpets curtains and linens as well as updated entertainment systems throughout. 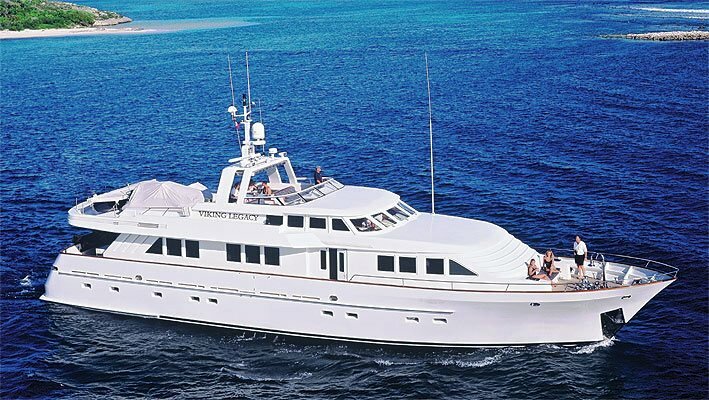 She has recently been repainted and is constantly being upgraded. 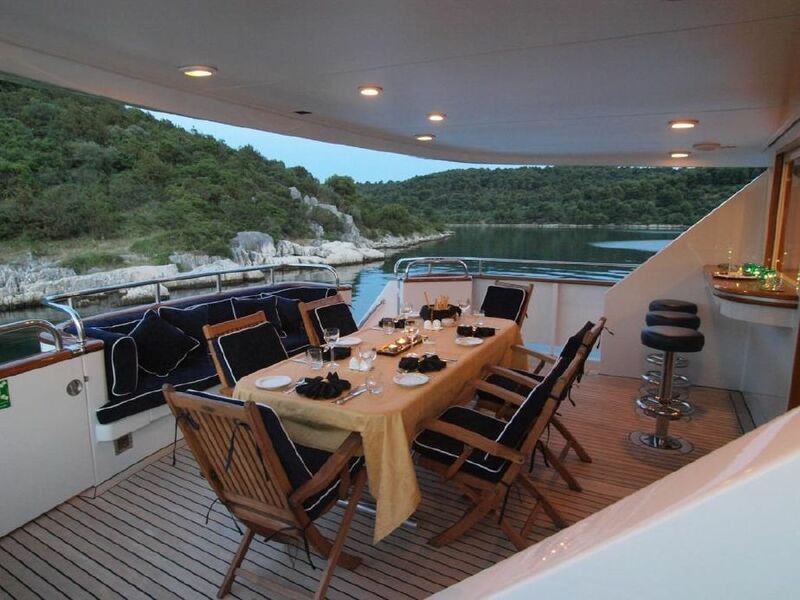 She also offers charter guests a full program of adventure activities and many water sports. 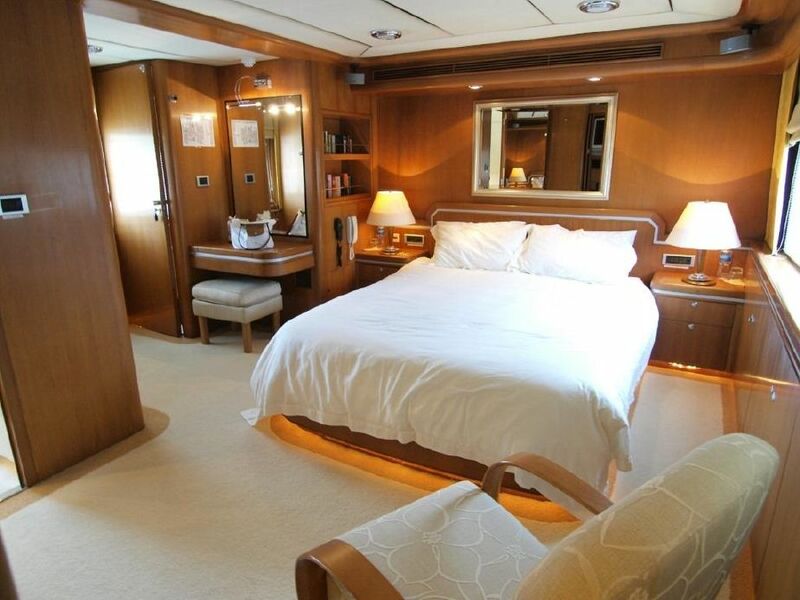 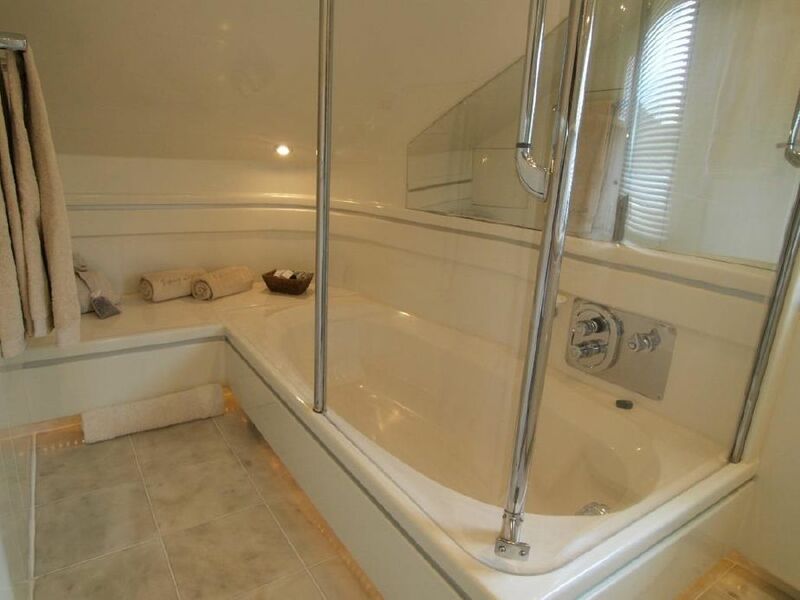 Alternatively, guests can enjoy complete luxury relaxation, with a full pampering service provided by the highly professional and discreet crew. 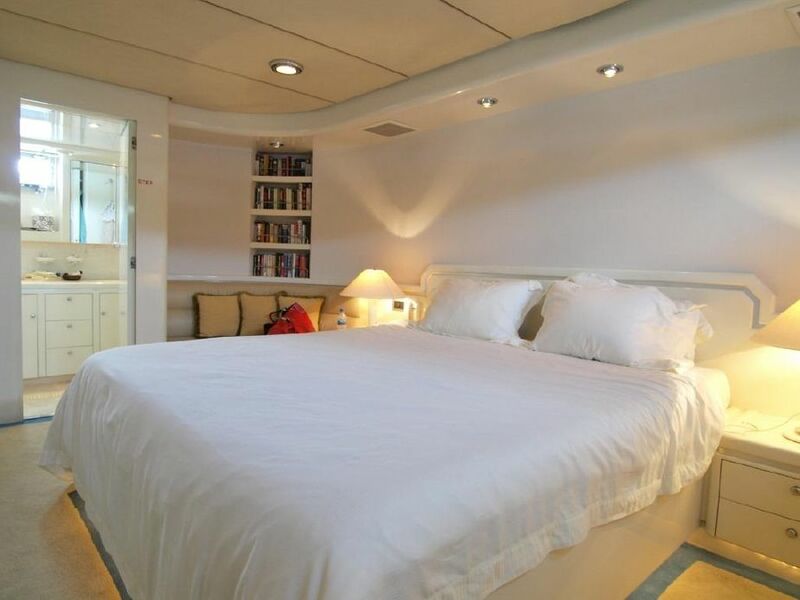 Whatever the criteria, a fully personalized stay will be organised to suit your every need. 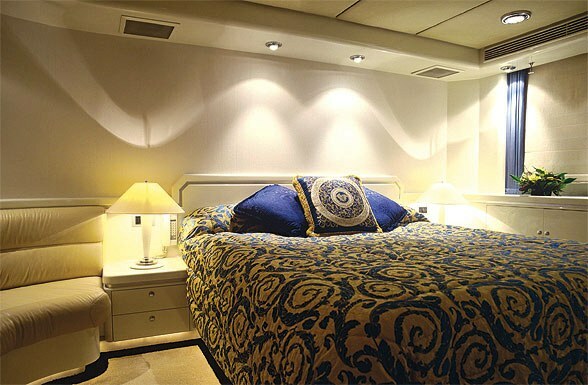 VIKING LEGACY offers luxury accommodation for up to 8 charter guests in 4 spectacular en suite cabins: The master cabin is situated forward on the main deck, with VIP double cabin and two twin cabins on the lower deck. 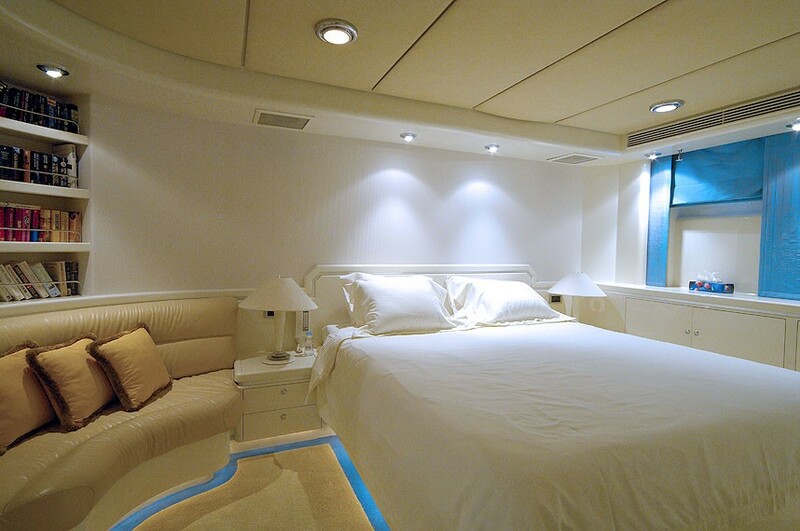 All rooms are fitted with TV/DVD/CD entertainment systems. 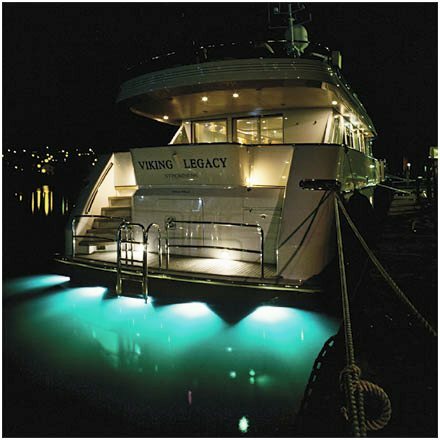 Luxury motor yacht VIKING LEGACY provides the following yacht charter amenities: Tenders & Toys Avon DL490 with 100hp Yamaha (2005) Avon DL400 Jet rib with 80hp Yamaha (2005) Seadoo RPX Wet bike 215 hp Wakeboards, water-skis, wetsuits, donuts and fishing equipment.